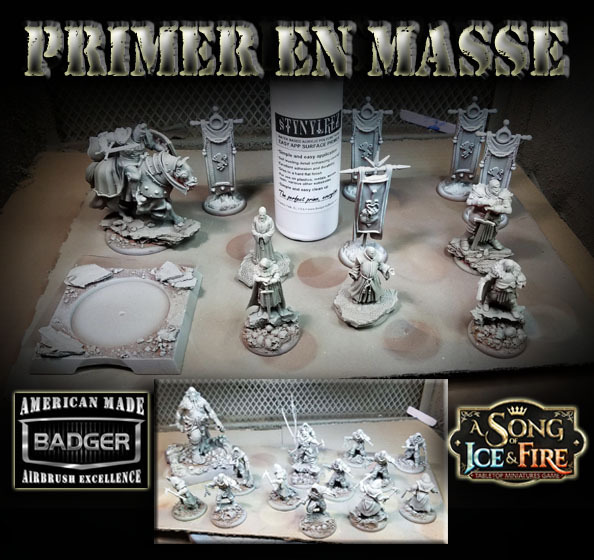 With Adepticon approaching, it is time to get a lot of Song of Ice and Fire miniatures ready for painting! 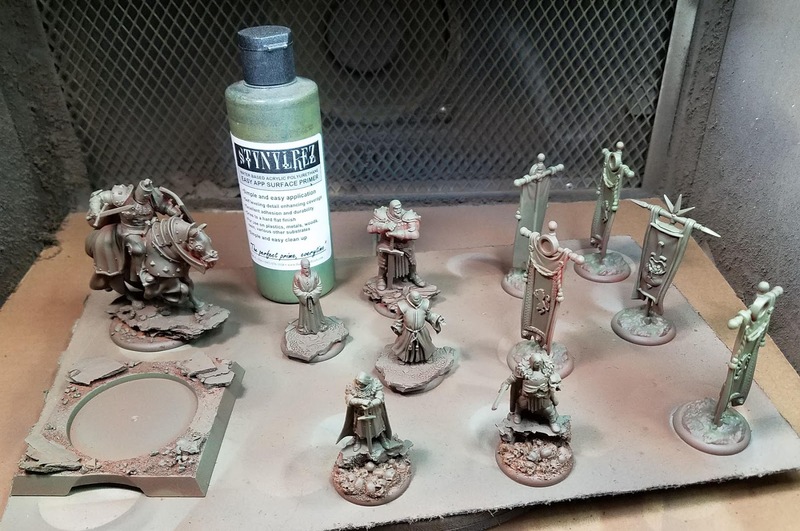 I have some NCU’s, activation banners, combat units and more that need to get that basic “pre-shading” which you have seen in previous posts. 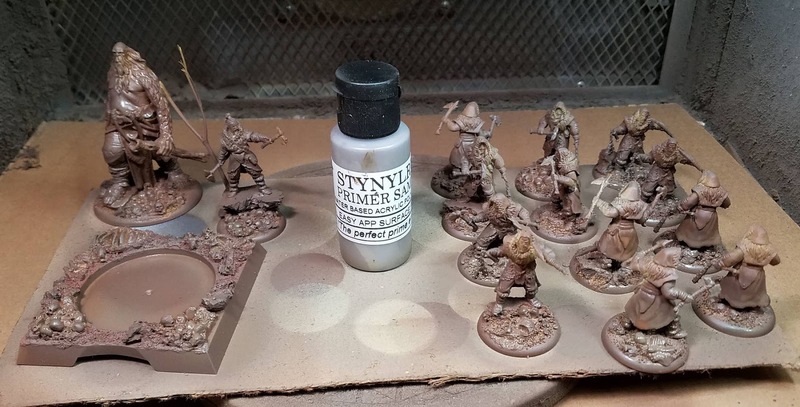 Lately I have been starting with the reddish brown Badger Stynlrez primer. It is an all around handy shade, as it is relatively dark and with a strong tone. I had used the Ebony color for this first layer, but I happen to end up with more of the reddish brown after the Ebony had been used up! 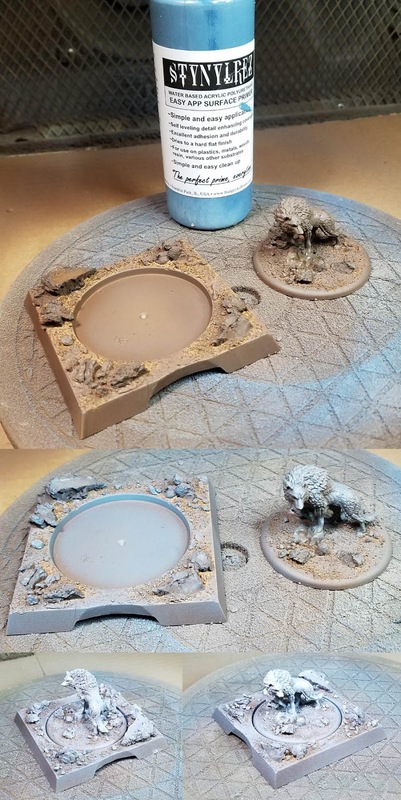 In any case, my primer painting does not really rely on any kind of specific colors. 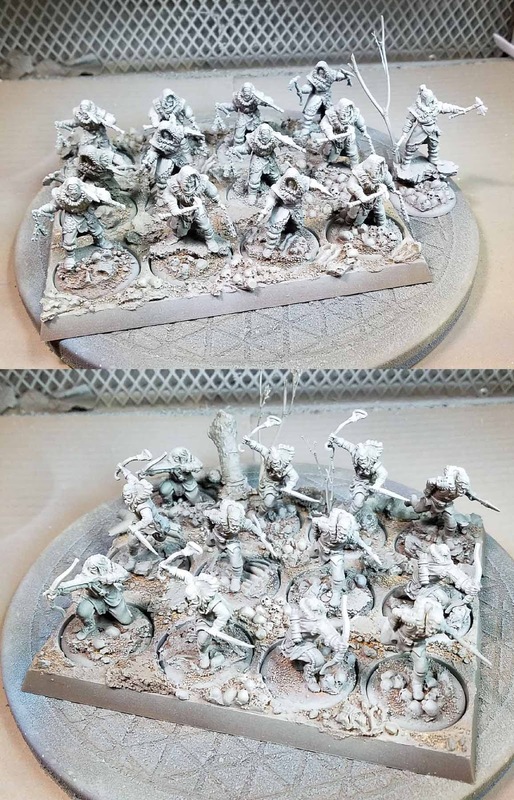 You could use whatever you wanted (something that matches the overall color of your army, etc), but this is more of a “take on all comers” scheme. 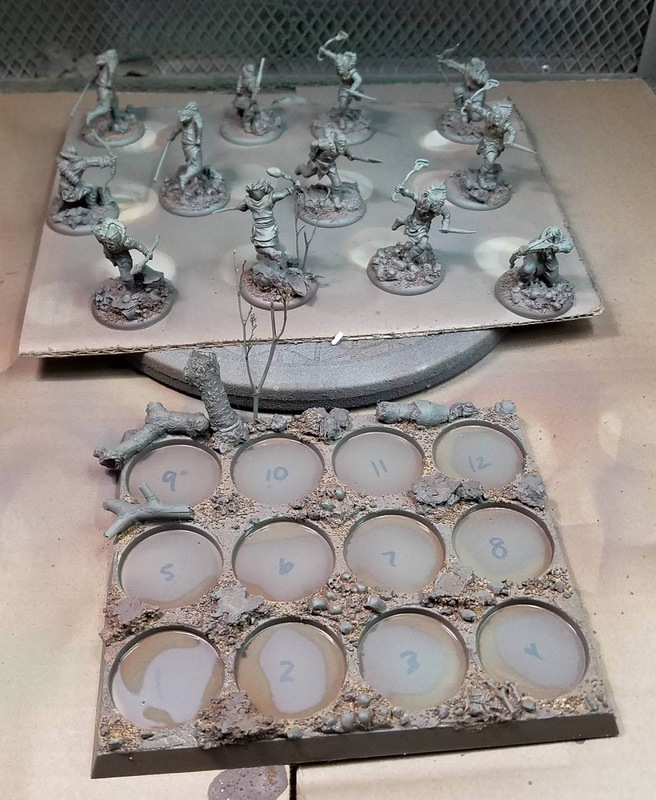 The units of 12 could be primed while they are still on the trays, but in the end it takes much less time to do them individually. I can pick them up, change the angle that I am holding them, etc. This lets me get to the hard to reach areas under the figure. Also, this is the point where you save a lot of money using the airbrush (or brushing it on directly as we did for many years). 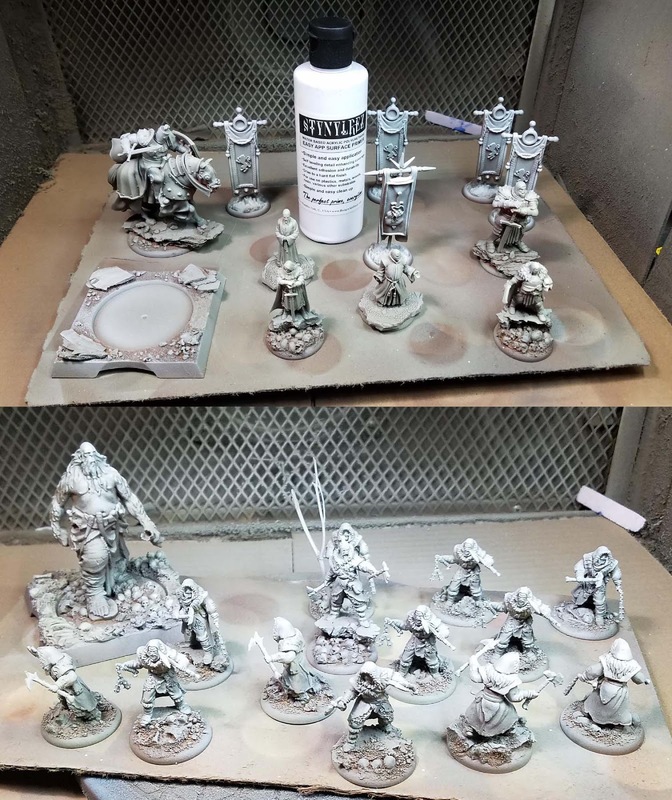 When you spray prime with cans, you are usually outside, and all you can do is tip the figures over, or roll them over in the cardboard box. Of course, that is if you have the ideal weather for it, which in Chicago is never. 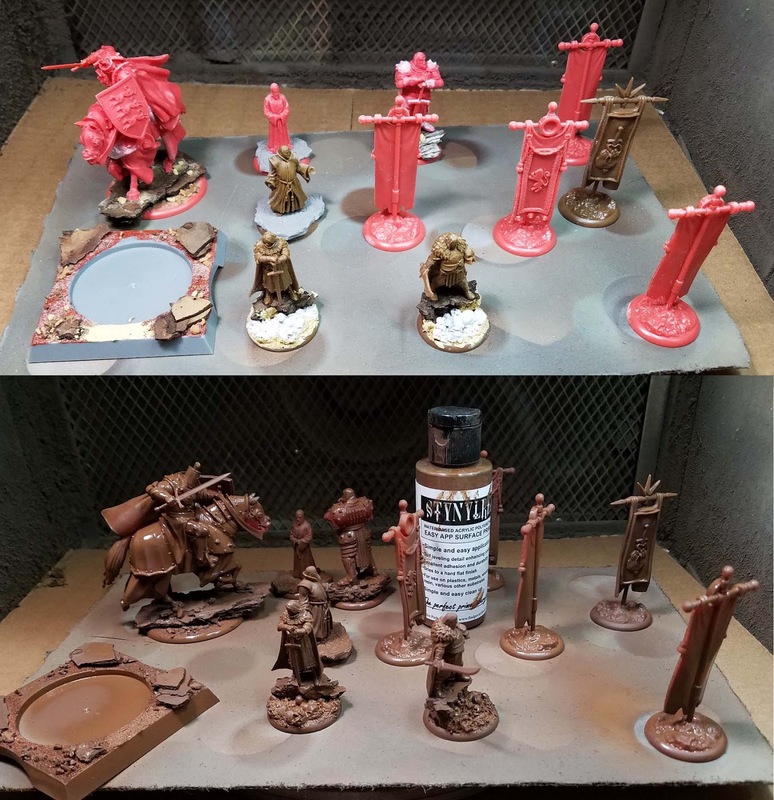 After getting a general coat of the reddish brown, I start to dust other lighter colors over the top. I like to hit it with the olive green next, since greens are so present in my shadows, skin tones, bases, etc. anyway. It is very helpful on figures such as the Free Folk, where I will be doing a lot of leather and fur. If I do some glazing of reds or yellow browns, I can still have a bit of that green color show through. The same goes for the skin tones. 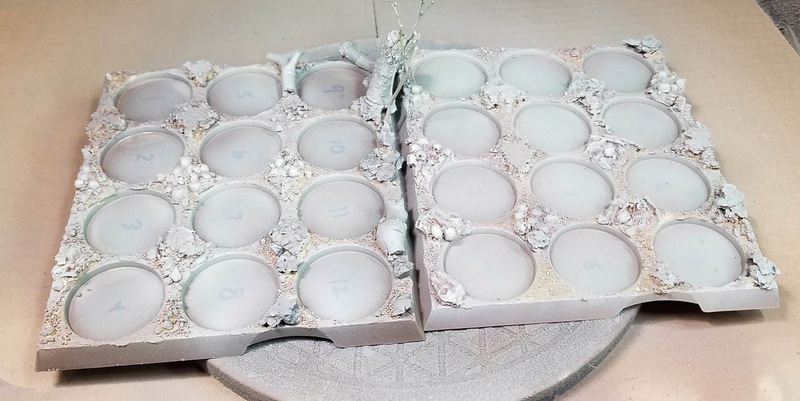 I also hit the movement trays, not worrying about getting things very dark. 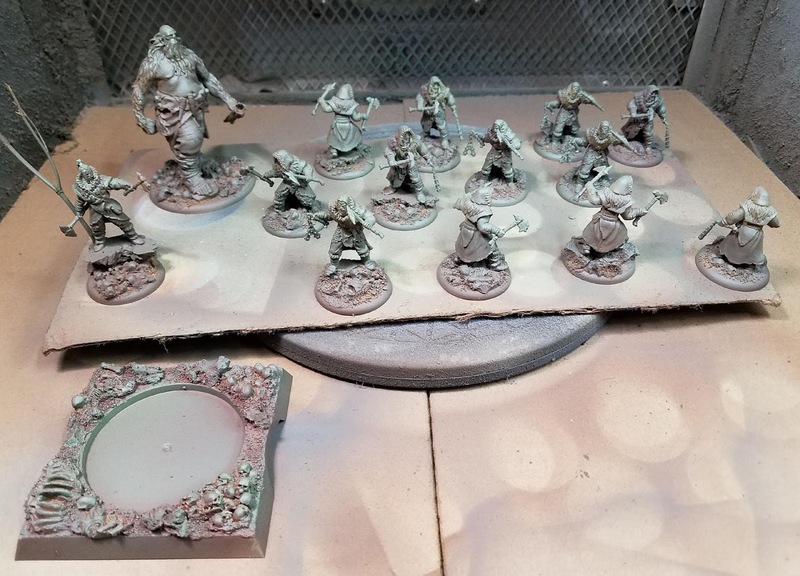 The first stage of painting is to do my oil washes over them (I will probably be using oils on these), so I can more effectively establish exactly the type of colors I want in those areas with that initial stage. The light tan color is the next primer that I dust over the top of the green. 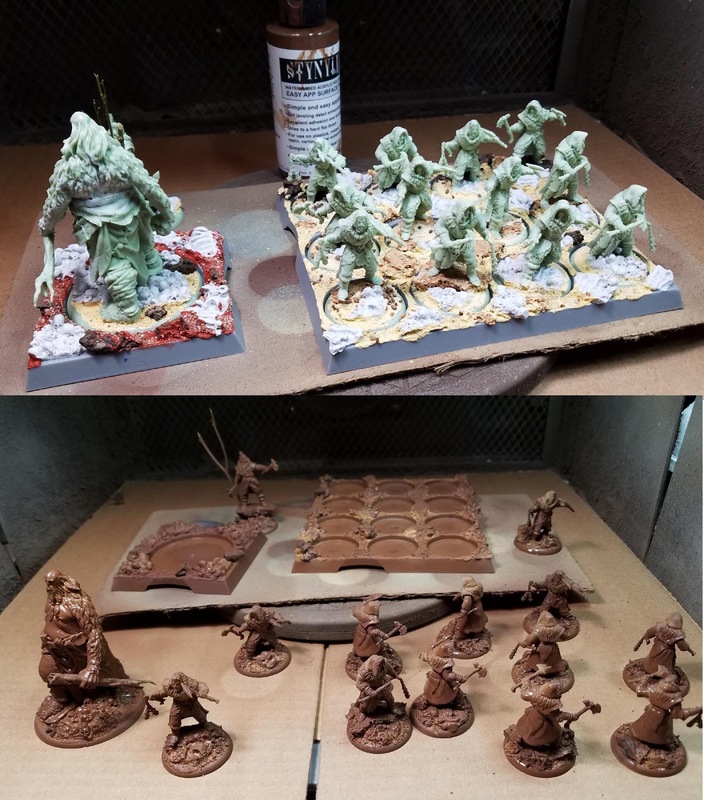 I try not to wipe out too much of the original reddish brown or greens, but it is not a huge problem if I get a little too much on a given figure. 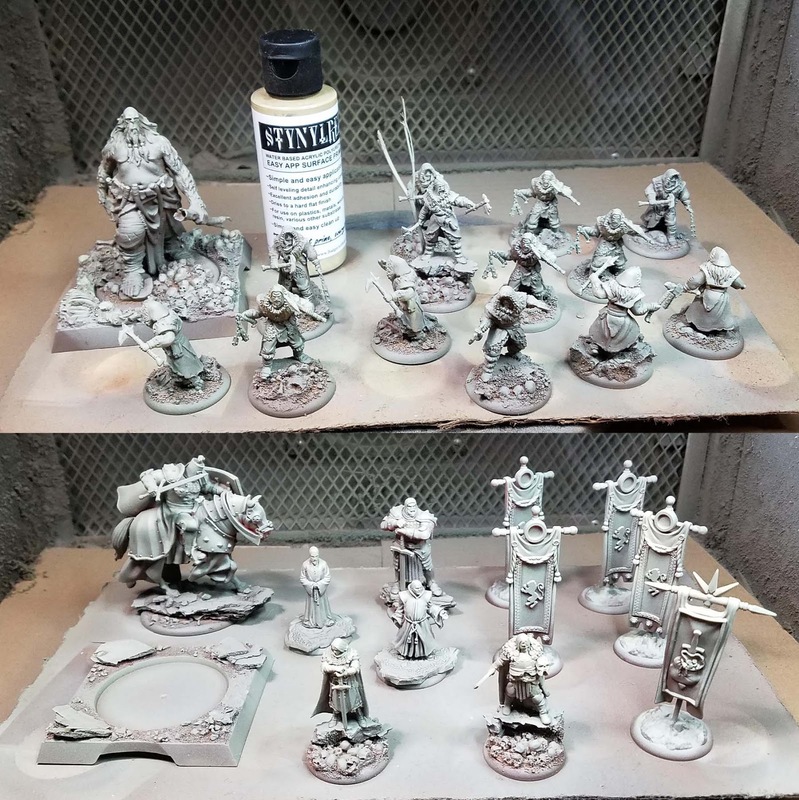 By this time I am simply waving the airbrush over the top of the figures. The trays are ready to go. Another key thing to remember is that plenty of snow will be covering these. Yet another reason why I will be doing a lot of shading/glazing in the initial stages! Here’s one of the wolves from the Night’s Watch set I believe. As I mentioned earlier, you can change out one of the colors along the way to get an interesting result. « It’s in the Bag!